Hmong Museum was awarded $20,000 from Knight Foundation to help pursue the organization's mission. 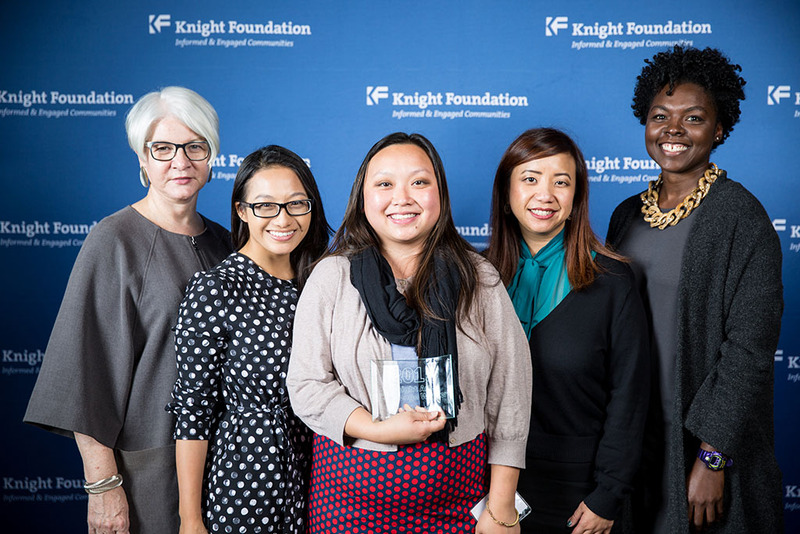 (From left to right) Victoria Rogers (KF VP/Art), July Vang (HM), Mai Vang (HM), Kathy Mouacheupao (HM), and Bahia Ramos (KF Arts Program Director) at the award Ceremony. The Hmong Museum exist to recognize and acknowledge the intersections of all things Hmong. We design our programs to be engaging and accessible, with hands-on experiences, community participation and memorable storytelling.